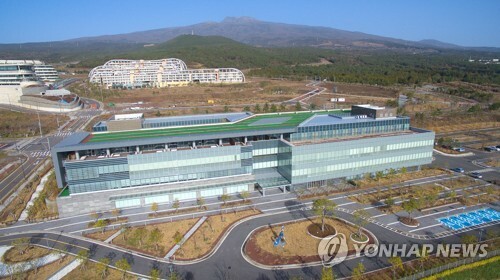 JEJU, South Korea, April 17 (Yonhap) -- The Jeju provincial government on Wednesday nullified the business license of a Chinese-owned medical center as South Korea's first for-profit hospital as it missed the deadline for the launch of its operation. The regional government decided to revoke its conditional approval of the medical center after reviewing the results of a public hearing it commissioned by a group of professionals, Jeju Gov. Won Hee-ryong told a press conference. "We have not been given a proper reason why the hospital's operations have been delayed since it received conditional approval from us," Won said. 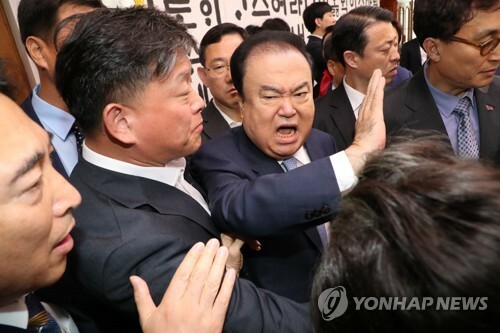 Wednesday's nullification of the license came after the regional government conducted the hearing on March 26 after the Chinese group missed the deadline set under the current medical law and the group submitted the results of the hearing to Jeju. The Greenland medical center received conditional approval from the Jeju government as South Korea's first for-profit hospital on Dec. 5 last year, putting an end to 16 years of controversy over the proposed introduction of investor-owned medical institutions. The approval was granted on the condition that the hospital treat only foreign patients. But the Greenland Group has strongly protested the ban on South Korean patients, contending that it is illegal for the government of Jeju to ban it from treating domestic patients. Amid the conflict, the Chinese medical center has shown scant signs of carrying out opening procedures, though it is required by South Korea's medical law to start medical services before March 4. In mid-February, the Chinese group filed an administrative lawsuit to have the controversial condition of its operation revoked. In the lawsuit filed with the Jeju District Court, the group insisted that it is unlawful to limit the scope of patients eligible for treatment at the Greenland medical center only to foreigners. During the press conference, the governor said "whether the medical center is allowed to treat domestic patients is not a core part of its opening as it submitted a business proposal stipulating that they would treat foreign nationals," criticizing the Chinese side for filing the lawsuit and delaying its launch despite the proposal. Won also said the local government's measure for the earlier conditional approval reflected its efforts to rejuvenate the country's economy, build up the medical tourism industry and improve relations between South Korea and China. He stressed that the local government also made the decision with a view to minimizing any impact on South Korea's public medical system. The local government cannot help but take measures, based on laws and principles, to cancel the Chinese group's license now that it has violated the medical law and the deal with legal issues arising from the cancellation of the license, Won said. The provincial government earlier said "Following the conditional approval, sufficient preparation time was given for three months. But the Greenland medical center has failed to begin operations by the deadline. In accordance with the current medical law, the government will take hearing procedures to cancel the permit." For-profit hospitals in South Korea are medical institutions that combine foreign capital with domestic medical resources and provide comprehensive medical services to foreign patients. The hospital had hired 134 medical workers, including nine doctors, 28 nurses, 10 nursing assistants and 18 international coordinators, as of August 2017, when it applied for the approval from the provincial government. As the opening was delayed by more than one year, all of the nine doctors in charge of the plastic surgery, dermatology, internal medicine and family medicine departments quit. 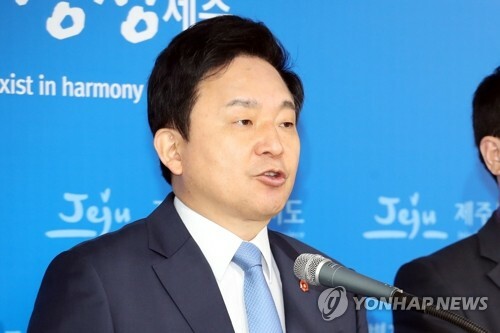 The Ministry of Health and Welfare that sets state policy on medical services said the incumbent Moon Jae-in administration has no plans to give authorization to a for-profit hospital going forward. "The for-profit hospital was a one-off authorization that reflected the special nature of Jeju and the island's unique laws that give greater autonomy to local administrators in certain fields," a ministry official said.